When Warner Bros. announced their initial DCEU slate a few years ago, most likely couldn't have envisioned how the cast of Justice League would come together. Perhaps one of the most unconventional casting choices for Justice League was bringing in Jason Momoa as Aquaman. 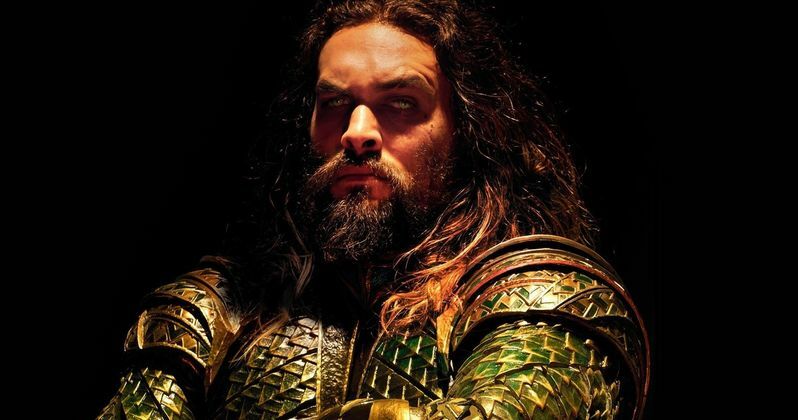 The actor doesn't exactly fit the traditional look of Aquaman from the comics, so the casting move surprised many, and it seemed that the inspiration for this casting came while director Zack Snyder and his producing partner/wife Deborah Snyder were watching him as Khal Drogo on HBO's hit fantasy series Game of Thrones. Here's what Deborah Snyder had to say about how they decided upon Jason Momoa as their Aquaman. "We're big Game of Thrones fans. I remember Jason Momoa (as Dothraki chieftain Khal Drogo). Zack was like, 'Jason would be the perfect Aquaman.' I was like, 'It's so out of the box. But yeah!' He can be tough. And he feels like he comes from the water." Jason Momoa was announced as Aquaman more than three years ago, and they shot one scene in Batman v Superman: Dawn of Justice of Aquaman and the rest of the meta-humans, to introduce fans to the rest of what would become the Justice League. Deborah Snyder also revealed that they shot that scene actually underwater, which was quite the learning experience for the director and producer, since they realized they couldn't shoot these scenes underwater when it came time to make the Justice League movie. Here's what Deborah Snyder had to say about the underwater Batman v. Superman scene below. "It was a learning experience because we actually shot that underwater. After we shot it Zack said, 'Are you kidding me? We can't shoot all these [underwater] scenes.' It gave us a chance to say, 'How are we going to do Cyborg? Is he going to be mechanical?' It was a way to start testing a little bit. We were able to hone in on it when we came to Justice League.' For movies with these superheroes you have a lot of kids [watching] and they become role models for kids. They become role models for adults too, but what's different for the kids is they can't necessarily distinguish between the character and the actor. Casting the person who was going to play the role was really important to us because it means a lot more. It's not like a typical role an actor has. It's magical when it works." Producer Charles Roven added that the casting of Jason Momoa, Ezra Miller (The Flash) and Ray Fisher (Cyborg), "was pretty inspired." After the first press screenings, the first reactions to Justice League have arrived, which are rather mixed, which could mean that the movie may have trouble hitting the projected opening weekend of $110 million to $120 million, but we'll find out for sure in a few short days. Take a look at The Los Angeles Times' full story on Justice League.